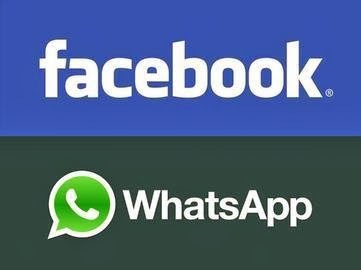 Facebook has reached an agreement to buy online messaging service WhatsApp in a deal worth $19 billion to the small startup. Under the terms of the deal, Facebook will pay $4 billion in cash, $12 billion in stock and $3 billion in restricted stock to WhatsApp’s founders and employees. According to its website, the WhatsApp messenger is a cross-platform mobile messaging app that allows people to exchange messages without having to pay for text messages. The app allows users to exchange unlimited free text messages, including recorded voice messages, and boasts nearly 450 million users per month and nearly 1 million sign-ups daily. The app is free to download, and is available for iPhone, BlackBerry, Android, Windows phone and Nokia. There is no cost to download the app itself; the messaging service offers a free trial year, followed by a subscription cost of $0.99 per year. Zuckerberg said the app will continue to operate independently within Facebook, and will complement the social network’s existing chat and messaging service. WhatsApp co-founder and CEO Jan Kaum will also join Facebook’s board.